Staging a home can make the difference in getting an above list offer and your home sitting on the market for an excruciating amount of time. In fact, staged home spend 73% less time on the market than non-staged homes and staged homes typically sell for up to 17% more according to the U.S. Department of Housing and Urban Development! We recently spoke with Boston Modern Staging and Design’s Melissa Ryberg to hear her insights on what you should focus on when staging your home. You can learn more about Melissa and her story in an interview she did with Boston Voyager. Freshening up your home with a few cans of paint can really go a long way. Melissa suggests choosing neutral colors when painting. A neutral home appears larger, and you have less of a chance of turning off potential buyers with some crazy, on-trend accent wall. Three of Melissa’s favorite colors are Balboa Mist, Grey Owl, and Revere Pewter by Benjamin Moore. Don’t turn off potential buyers with dust bunnies! A deep clean is a must when preparing your home for sale. Save yourself the work and hire a professional to clean your home throughout. Don’t forget to steam clean the carpets. Clutter distracts potential buyers from seeing your home’s best features. Decluttering gives potential buyers a better chance to see themselves living in the space. Think about tidying up as soon as you decide to sell your home, so you don’t have to rush before an open house. You might even consider renting a storage unit to store your belongings in while you prepare to move. Don’t forget about your garage either. Check out Melissa’s Staging your Garage blog post to learn how staging your garage can increase your home’s value. 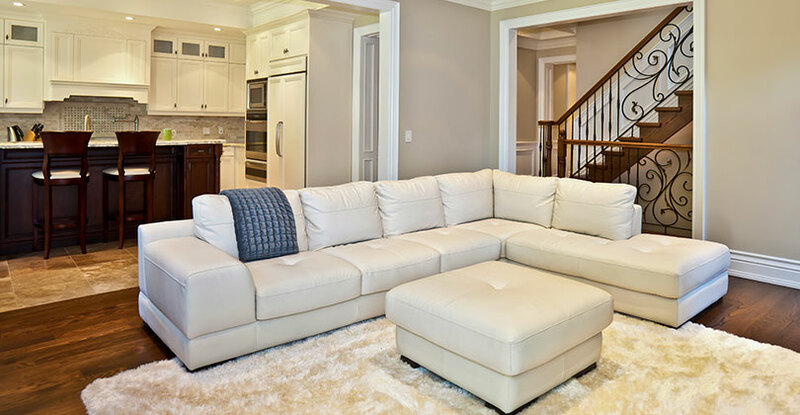 Rearranging your furniture, and removing any large pieces that are overwhelming the space, can bring new life to a room. Too much furniture in a space can make the space feel cramped. Don’t be afraid to take pieces out of the room if they aren’t benefiting the overall feel of the space. Melissa says to style your dining room table. 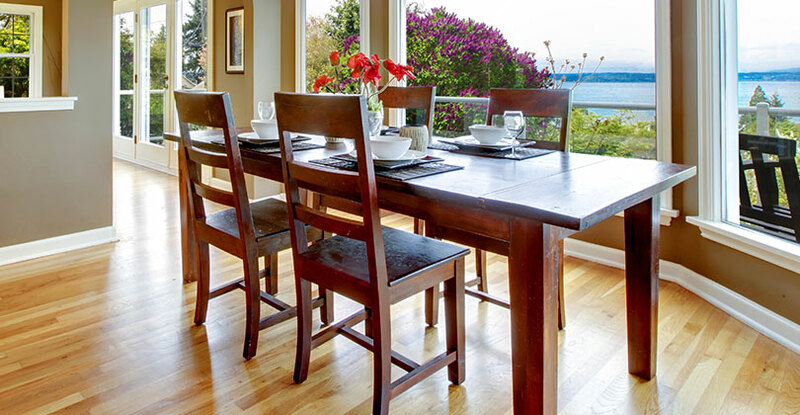 Simply setting the dining room table can make a big difference. Keep it simple and modern — white plates with stainless steel cutlery and stemless wine glasses atop a neutral placemat or tablecloth keeps it clean yet modern. If you think the room needs a pop of color, add a vibrant napkin. The outside of your home is just as important as the inside. It’s your first chance to impress potential buyers os make sure it’s ready to lure in onlookers! Sweeping cobwebs, weeding, mowing the lawn, adding a new welcome mat, replacing burnt-out bulbs, hanging a wreath, and power washing siding and decks as needed can really go a long way.